Curity Cover Sponge. Non-woven, cellulose wadding filled sponges. All purpose use with good absorbency. Available in a variety of sizes in both sterile and nonsterile. 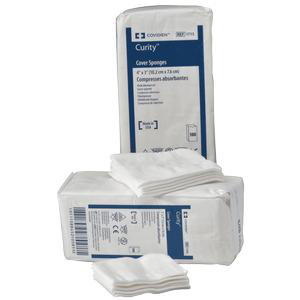 Curity Cover Sponges are available in different sizes in both sterile and nonsterile. Non-sterile sponges conveniently indexed in tens for faster, easier handling.